We're finally going to learn some firm details about Star Wars Jedi: Fallen Order this April. It's been confirmed that the upcoming video game, which is being developed by Respawn, is set to be revealed at a panel during Star Wars Celebration in Chicago. We've known that this game is coming for some time, but its details have remained largely mysterious. Lucasfilm is finally ready to lift up the curtain as they prep for its fall launch. According to Lucasfilm, Star Wars Jedi: Fallen Order will be front-and-center during a panel scheduled for Saturday, April 13 at Star Wars Celebration. It hasn't been revealed what else they will be discussing or showing off at the panel but this is going to be the centerpiece, which makes sense, given that it's the only video game project (that we know of) within the franchise that's far enough along to truly give us much to look at. In any event, this may finally be the thing that many fans have been longing for ever since Disney purchased Lucasfilm from George Lucas back in 2012. While details are currently a bit scarce, this game will not be an online shooter like the recent Battlefront games. Instead, this will be mostly focused on a single-player campaign. The story centers on a Jedi padawan who survived Order 66, whereby Palpatine gave the order to kill all of the Jedi, as seen in Revenge of the Sith. The game will allow us to explore the galaxy in a time after the Jedi Order through the eyes of this currently unnamed padawan. 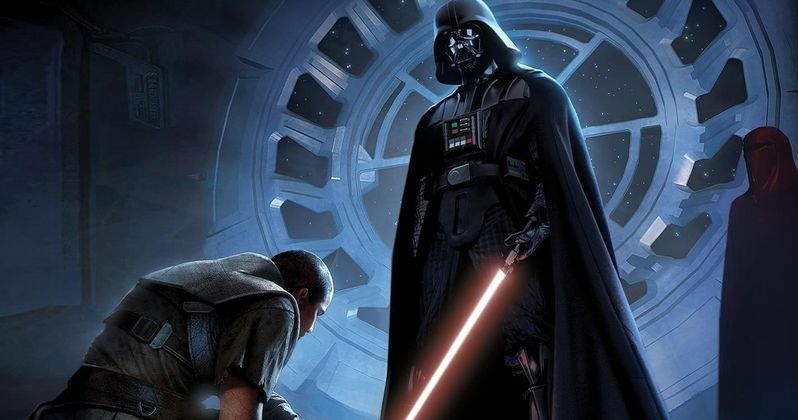 Matt Martin of the Lucasfilm Story Group stated on Twitter back in June 2018 that the Darth Vader: Dark Lord of the Sith comic book will contain some clues to the game. "There will be some hints at the game in [Darth Vader: Dark Lord of the Sith] though. But those issues aren't out yet." Those looking to try and put some pieces of the puzzle together can dig through that series before the event in April. In the years before Disney started making Star Wars movies again, it was video games that provided solace for many fans. Unfortunately, this is an area where Lucasfilm has been lacking ever since the takeover. LucasArts was closed down and the only two console releases that have come out during the Disney era are Battlefront and Battlefront II. Another unfortunate recent turn of events came when it was revealed that EA had stopped development on its open world Star Wars game. Though they are still working on another title, it just isn't expected to be as expansie. Hopefully, this will just be the beginning. Star Wars Jedi: Fallen Order does not yet have a release date but that information will certainly be revealed during the panel. We'll be sure to bring you more details as they're made available. This news was initially reported by StarWars.com. There will be some hints at the game in that series though. But those issues aren’t out yet.